Includes the names: Kemp Paul S.
Celebrate Star Wars Day at MGSD! Prepare for The Force Awakens with a celebration of Star Wars books -- classic expanded universe and new canon! A limited quantity of Epic Yarns posters are available for little padawans while supplies last. Many thanks to the wonderful Star Wars fans who visited us at Star Wars Celebration Anaheim! May the 4th kicks off a season of celebration, particularly since the month of May has always been important to Star Wars ans. The six live-action movies of the Star Wars saga debuted in May (starting with the original Star Wars on May 25, 1977). The month of May includes George Lucas’ birthday (May 14, 1944), and has been the traditional start date of the popular Star Wars Weekends at Walt Disney World Resort. With the exciting launch of a new trilogy of movies beginning with Star Wars: The Force Awakens coming in the near future, this day to celebrate the saga and its amazing fans is certain to become even bigger each year. Mysterious Galaxy will be at Star Wars Celebration! Star Wars Celebration bills itself as “the ultimate fan experience focused on a galaxy far, far away...” This is an exciting time to be a Star Wars fan, and Star Wars Celebration in Anaheim, CA will bring fans of all ages together, from all around the world, to celebrate the pop culture phenomenon that is Star Wars - all on the cusp of new Star Wars movies and television shows! Celebration - Lucasfilm’s love letter to fans - offers four fun-filled days all in the setting of the ever-evolving Star Wars universe. Look for Mysterious Galaxy in the Exhibit Hall in Booth #960. We will have authors visiting our booth and signing their books all weekend. A copy of the schedule can be found at the bottom of this page. 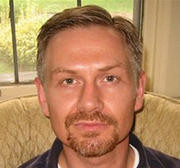 Paul S. Kemp is currently considered a "single author." If one or more works are by a distinct, homonymous authors, go ahead and split the author. Paul S. Kemp is composed of 3 names. You can examine and separate out names.